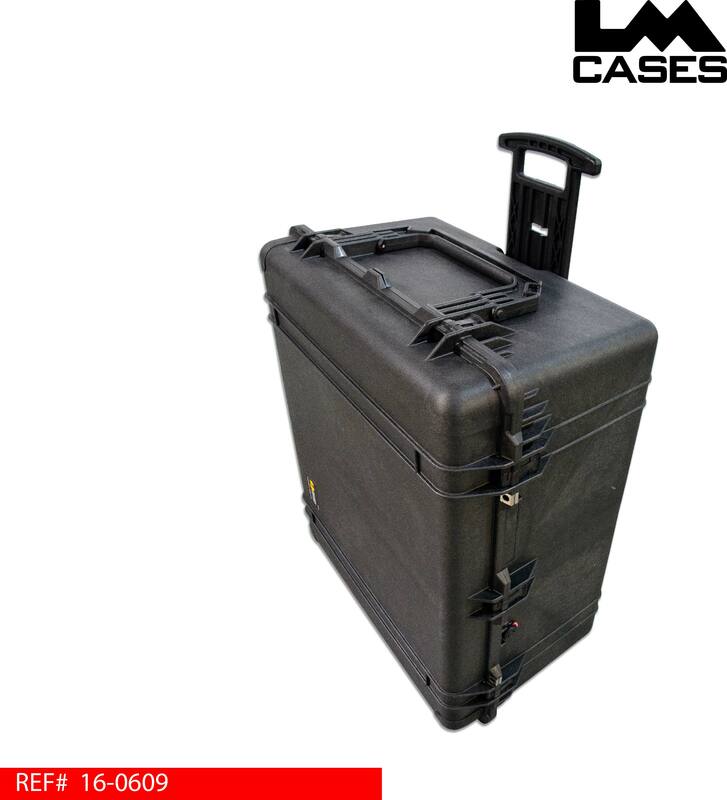 This case is designed to be a portable charging solution allowing USB devices like tablets and phones to be charged on the road. 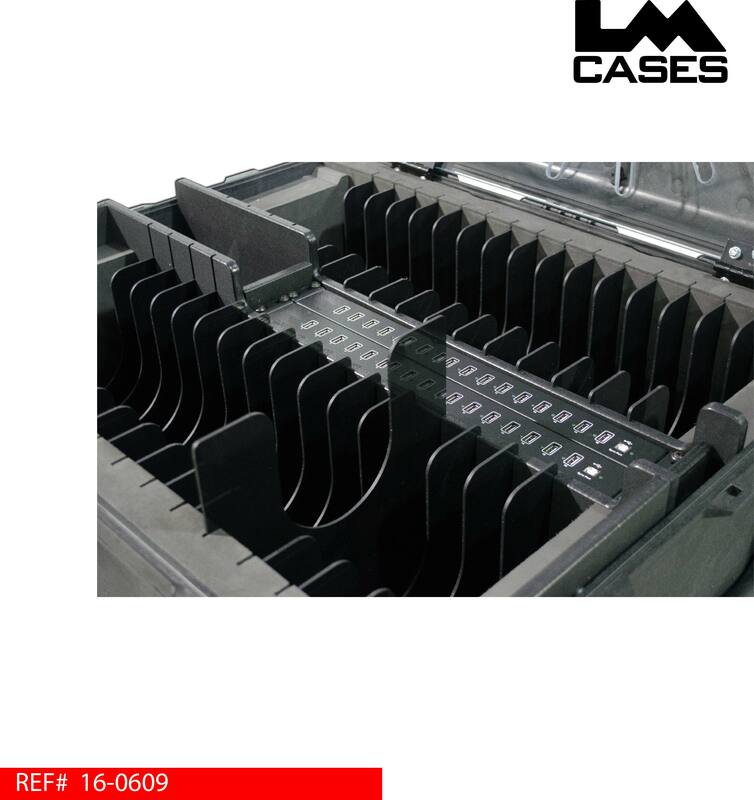 The charging components also allow the devices to be sync'd and updated in groups of 16 at a time for fast updates and data pushes. Each unit is stored in its own individual compartment. 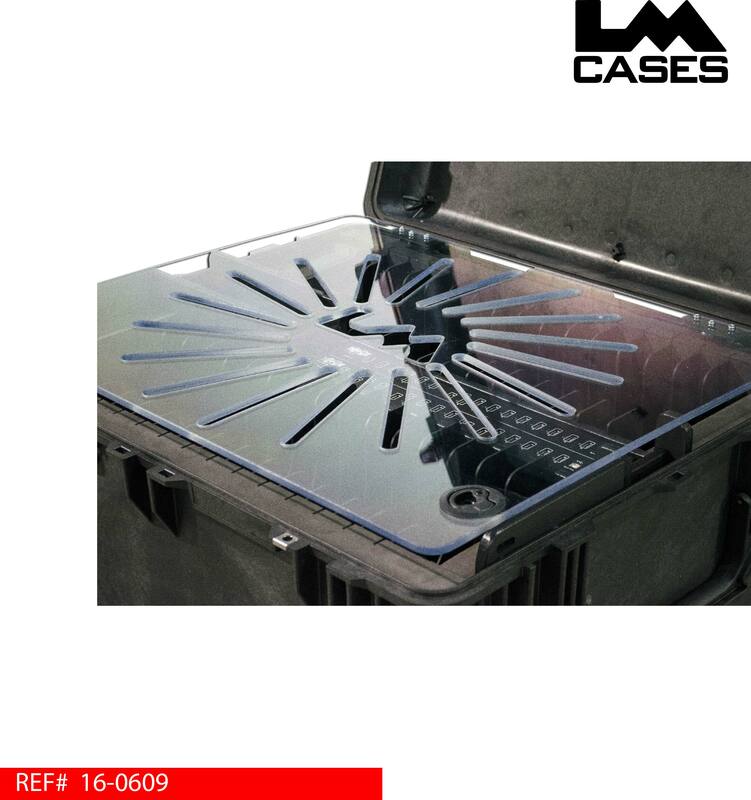 The case features a vented clear Lexan lid that allows the units to be locked while they are charging. The vented Lexan lid allows the devices to remain cool as well as visible when they are securly charging. 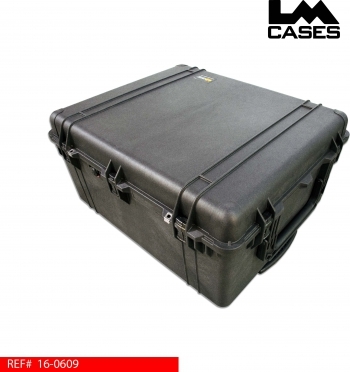 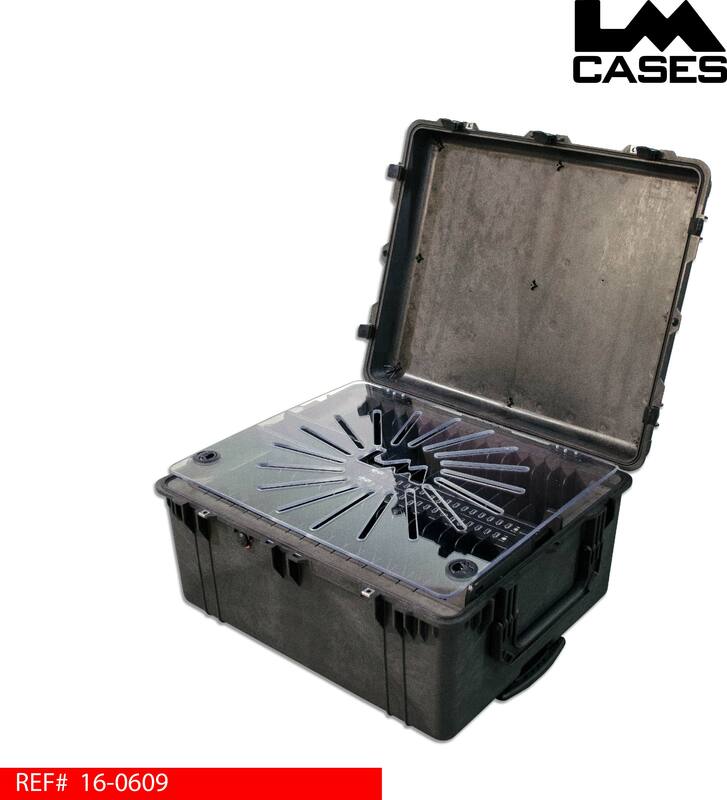 The interior components are mounted in a waterproof Pelican 1690 case which is waterproof. 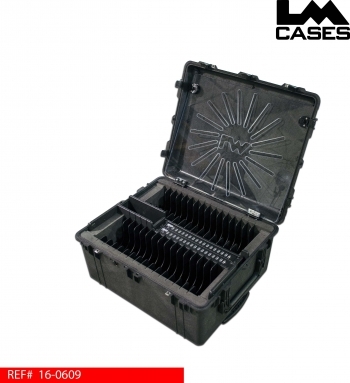 The Pelican form factor allows the case to be checked on a commercial airplane, or stored under a bus.